Siva Exports is one of the best Appalam manufacturers in Madurai, Tamilnadu, India. 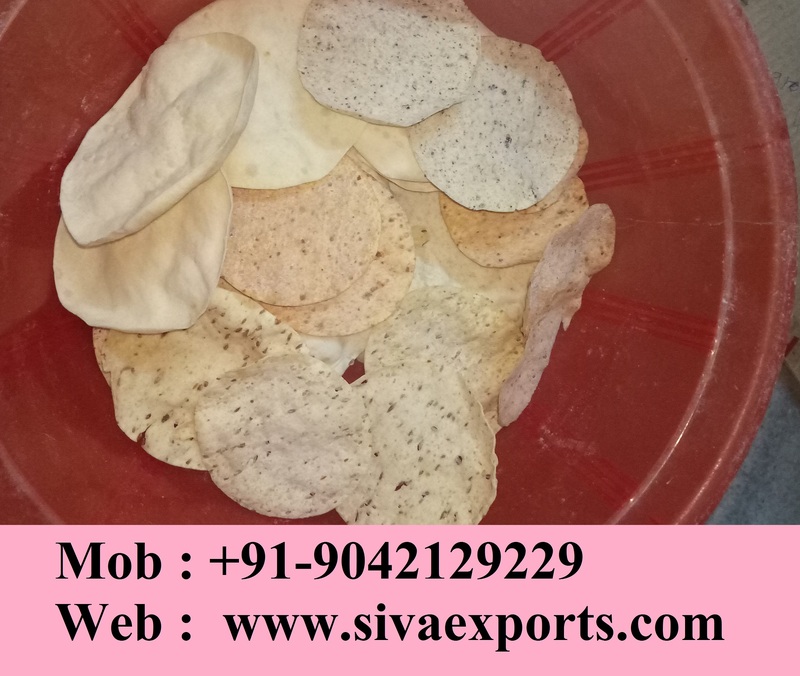 Matching up with the ever increasing requirements of the customers, our company is engaged in providing Masala Papad (Available size 2.75, 3.5, 4, 4.5 inch). Since We are the Manufacturer and Exporters of Appalam (Pappadam) for the Past 40 Years of Successful Experience. We Export our Product to Malaysia, Singapore and Colombo . Also We Can Make and Pack the Product Any Size, Any Grams, Any Packing types and Any Brand Names as per your specification. A dish that defines the Indian palette, we present a variety of appalam papad, indian papad, crisp papad, masala papad / papadum that makes perfect addition to any vegetarian meal. These crisp papad are hygienically making from dal, rice, potato and other flours. Packed with precision, our wide selection of papads is both nutritious as well as easy to digest. Our All products are Home Make Appalam. We have 10 Ton per day production Capacity for Appalam. Also We are one of the best appalam manufacturers in Tamilnadu. We are one of the best appalam manufacturers in Tamilnadu. Since We are the leading Appalam Manufacturers.